Just last month I introduced a home and living section to my blog where I will be talking all things housey and crafts and decoration. Yes we are still waiting on our house purchase contracts to go through (Ball Ache) but that doesn't mean I haven't planned for the BIG move! Of course I have eeeekkkk. 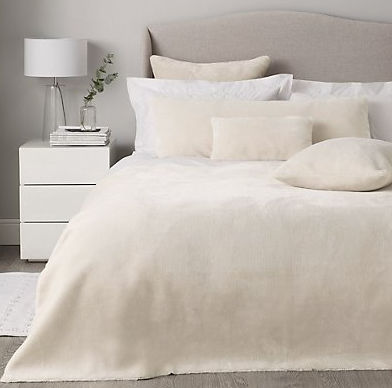 So previously I spoke about my home inspirations, the rustic trend and lots of white, and again I am bringing it in here for my boudoir blog post- my bedroom plans and wishlist. As you can probably tell from my Home Pinterest I love everything white. 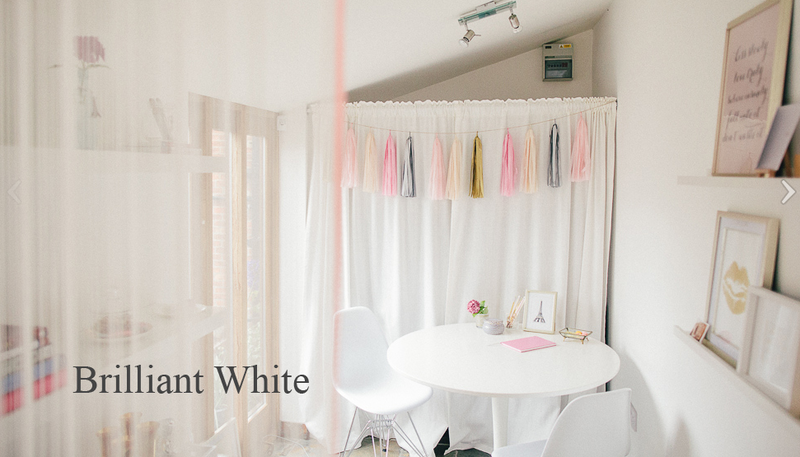 I previously wrote a post on my white interiors inspiration which you can find here . 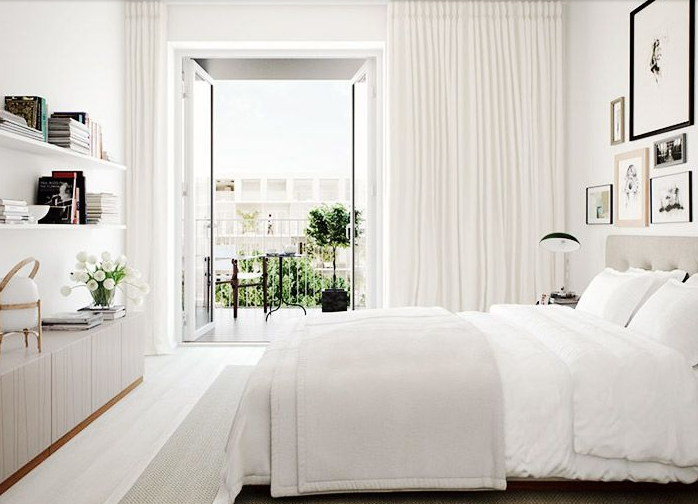 However, when it comes to the bedroom I just adore the all white trend. Not only is it luxurious but its bright and fresh which is exactly what I need when I wake up on a gloomy morning. 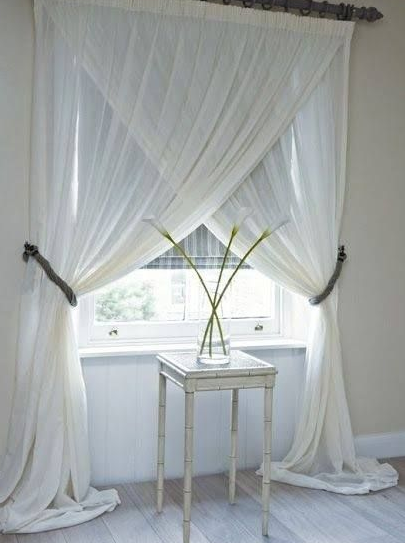 First on my wishlist are some white voile curtains which let lots of light in. I personally love this look, however for the bedroom it may be more appropriate to go with blackout curtains to create a more cosy feel. Some people may think white means see through, however you can actually get white blackout curtains Yorkshire Linen co. in different colour options too. When scrolling through peoples Instagrams I get so jealous of their awesome photography. I often ask them which camera they use, editing software or even filters but a lot of them often come back to me and just say lots of light and a bright white background. Is it really as easy as that??? So being me, I started googling photography backgrounds keen on buying a backdrop, some sort of studio lighting for my bedroom, but I then came across a blog post which outlines how to get fresh bright photography by using home interiors. Here is where I found lots of bloggers talking about Crown Pure Brilliant white paint to use on the walls and ceiling. I read great reviews when it came to home decoration in particular for brightening up the room and making it appear lighter. I hate it when the walls are badly decorated and the light is soo dull I can barely take a selfie. This room here was painted in Brilliant White and as you can tell its just looks so much brighter, airy and fresh which would be perfect for any blogger and their photography. 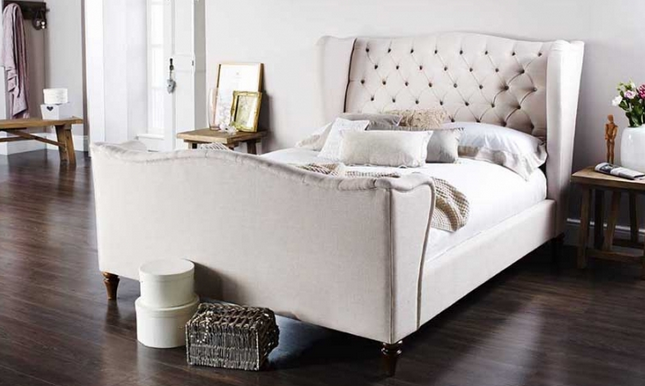 For my bedroom furniture, I have already chosen my bed which is this button back sleigh bed style King sized bed. I just love the champagne tone to it, and the large headboard too. Yes these sort of beds do come at a high price however you can find one similar here and also cheaper here . 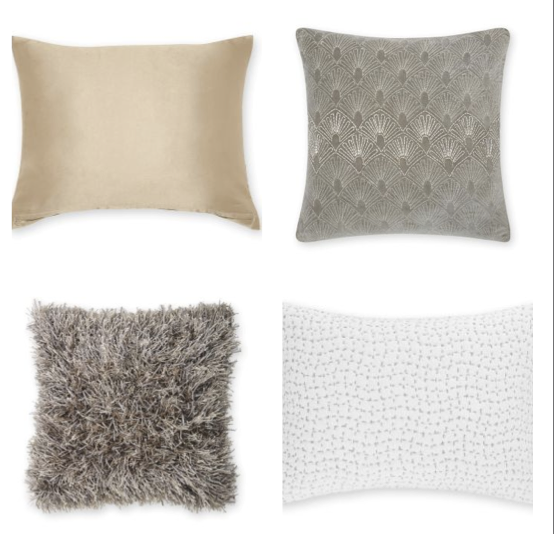 My favourite is the one from Next in Classic Velvet light. The colour looks a lot darker on the images than in real life, as the colour of the material is very champagne like in store. The reason why I want to stay white with the walls and furniture, is because I want the focus to be on the furnishings such as cushions, rugs, throws, mirrors, plants and curtains. I don't plan on going too bold with the colours here though as I like to keep it natural and stick with the champagne, creams, greys, and golds. 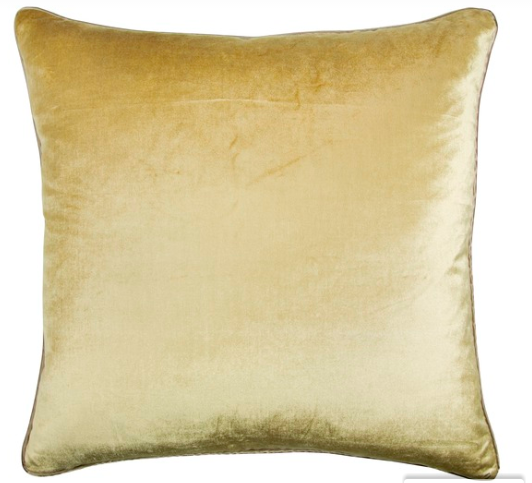 To finish off the look, I aim to buy some shiny champagne cushions, and a furry pillow too. I love it when lots of cushions are stacked up, adding a throw at the end of the bed. 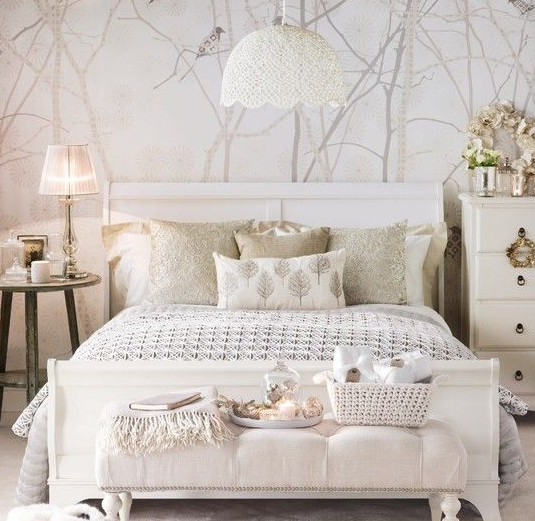 My bedroom wishlist consists of mostly white, cream and champagne items simply to get the crisp white and luxury look. This is something I plan on incorporating throughout the whole of my house, adding touches of colour using picture frames, pillows, plants and painted chairs. I am counting down the days until I move into my new home, and cant wait to see all these finished items in my room. I will certainly take lots of pictures and update you on the process. 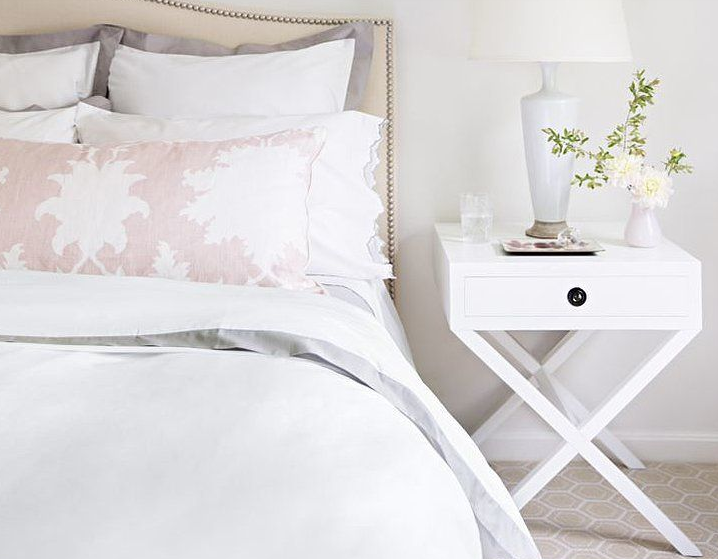 Are you a fan of the white bedroom look? looks so clean and peaceful! Ah I'd love to have a beautiful white bedroom!! I can't wait to buy a house and decorate it! Never you can expect a good sleep unless few things make a combination altogether. One thing is certain that you should be free from mental stress and physical unsoundness, and everybody knows that. What the people don’t know or don’t care that still, there are few other things that play a vital role to ensure their sound sleep. The mattress, blanket, pillow, sheet, and bed frame are those things that we either forget to consider or give insufficient importance. 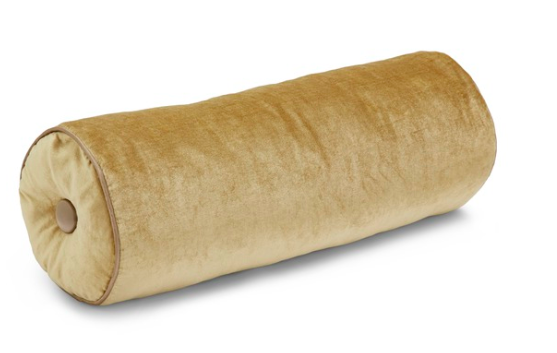 For good sleep all you need comfortable & cozy bedding. Dusk is one of known brands for luxury bedding items in UK.